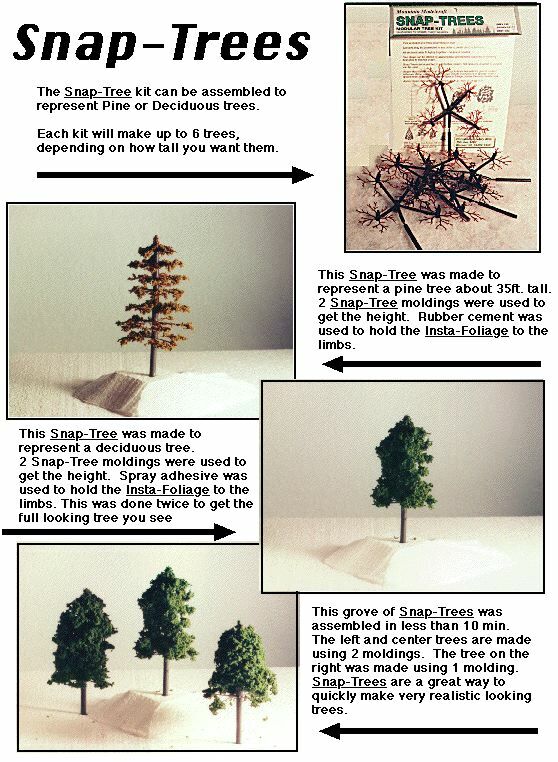 ModelTrain.com | Mountain Modelcraft | Snap-Trees: A model forrest in a snap! Snap trees are great! 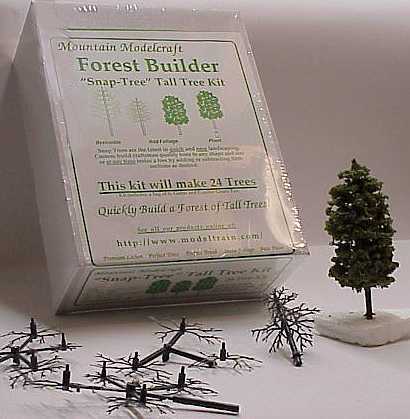 These plastic trees can be assembled to represent Coniferous or Deciduous Trees. They simply snap together in any order. Once assembled they can be trimmed. A coat of spray glue or rubber cement works to attach the foliage. Our "Insta-Foliage" makes them look great! Since they are modular, you can build them as tall as you want. 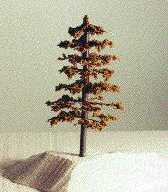 A standard tree is about 4 inches tall making them perfect for HO gauge. However they work well for N and O gauges also! They come in three packages. A 6-pack, a 24-pack, and a 24-pack of our new large trees which come with extra sprues to make them bigger. They all are available with a bag of our "Insta Foliage" and all packages have instructions. View a flyer on our snap trees. Order your Snap trees today, click here. To order your Snap-Trees click here.